People love to overreact to draft picks, whether it be positively or negatively. The amount of Celtics fans who were unhappy with Terry Rozier, Jaylen Brown, or Jayson Tatum at the time of their selection is appalling. The same amount thought drafting Kelly Olynyk over Giannis Antetokounmpo was a good idea. The truth is that nobody knows a damn thing until these guys actually lace up for a real NBA game. But when one of the brightest minds in basketball says that a guy will be a good fit, you can start to put a little more stock in the hype. 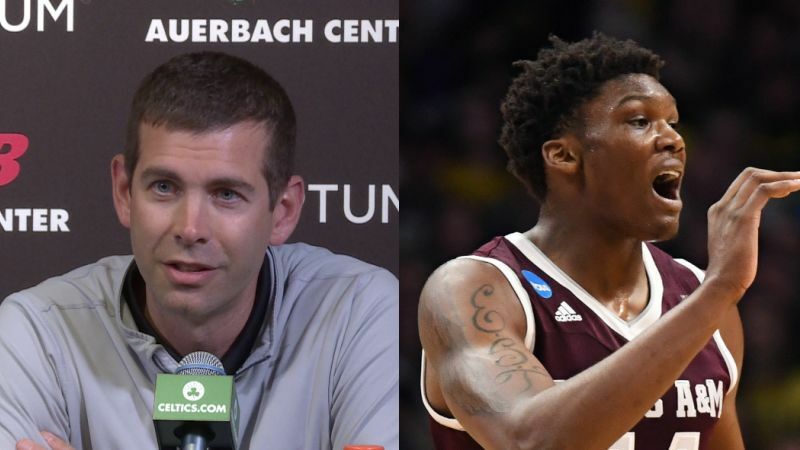 Robert Williams isn’t exactly the prototypical Brad Stevens big man, mainly because he lacks a jumper. What he does have is the ability to block shots and play above the rim better than any big Stevens has coached during his five-year tenure n Boston. Williams was 62% from the field and nearly averaged a double-double last year at Texas A&M. He still has plenty of room to develop, but his size and athleticism are enough for the 6’10” 20 year-old to make a difference right away. If he has the right work ethic, he could play a significant role on a team that’s expected to contend for a championship.